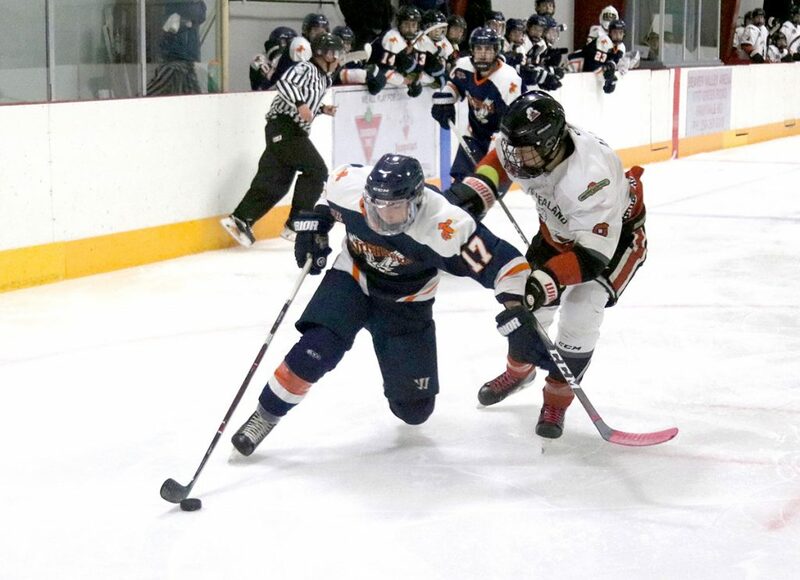 The Beaver Valley Nitehawks picked up a win in its final match against the North Okanagan Knights to cap off the Kootenay International Junior Hockey League Showcase on a positive note. The KIJHL showcased their product to junior and college scouts in Kamloops Dec. 27-29 inviting all 20 teams in the league to play a pair of games in front of NCAA Div. 3 schools, Canadian Universities and Colleges, and Jr. A representatives. 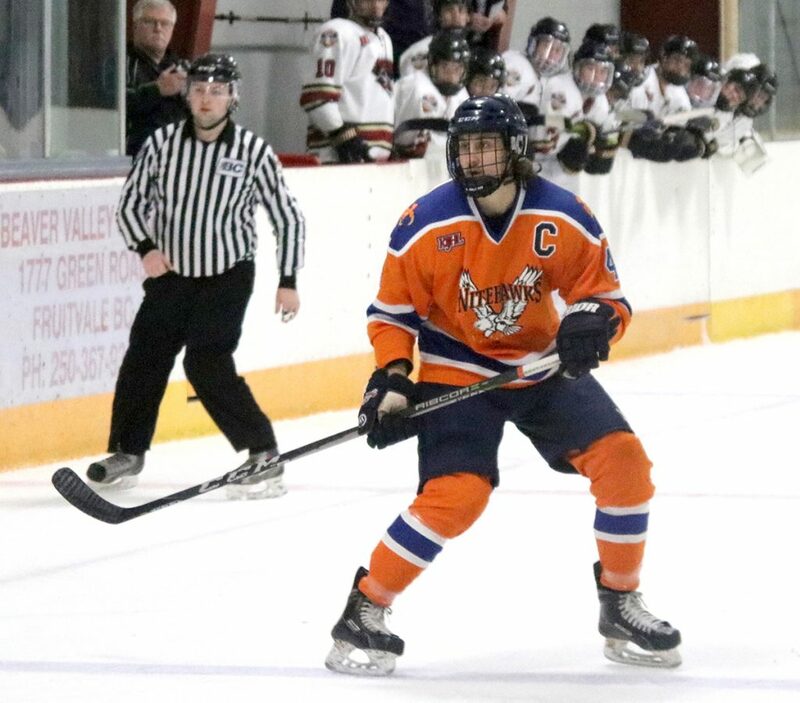 The Nitehawks ended their two-week holiday break with a 4-2 loss to the 12-15-2-2 Sicamous Eagles Thursday, before bouncing back with a solid 4-1 win over the Knights on Friday. Hawks goalie Saran Virdee stopped 25 shots and earned the game’s home star in the victory against North Ok.
Marty Ingram scored the game winner, finishing a set up from brother Nathan and Nolan Corrado to break a 1-1 tie two minutes into the third period. The win is the sixth in seven games for the Hawks, who improve to 17-11-2-2 and trail the Nelson Leafs by just five points in the Neil Murdoch Division standings. After a scoreless first period in which the Knights outshot the Hawks 8-4, B.V. forward Jared Stocks opened the scoring at 7:22 of the second period with assists going to Michael Hagen and Quaid Anderson for a 1-0 lead. 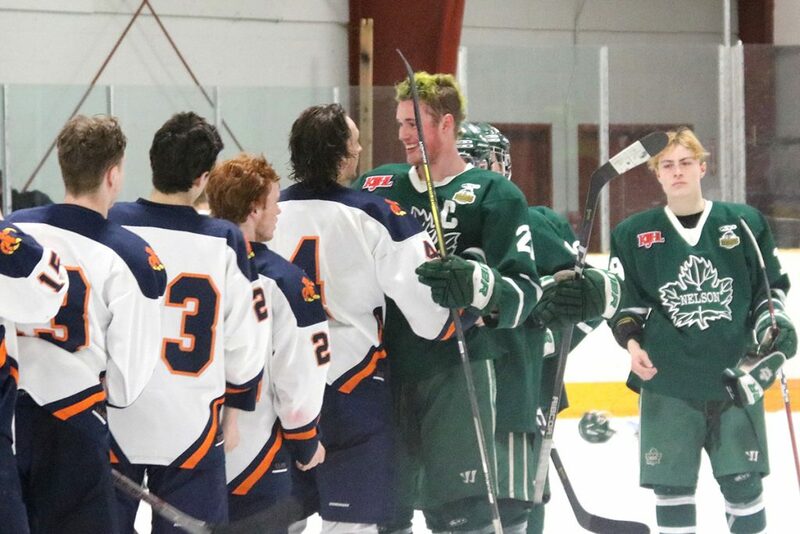 The Knights Jett Saharchuk tied the game 30 seconds into the third period, but the Hawks exploded for three unanswered goals before the final buzzer. After Ingram made it 2-1, Ryan Crisalli made it 3-1 on a nice setup from Paul Leroux and Angus Amadio midway through the final frame. Leroux then notched his 18th of the season and team leading 43rd point on the power play, with assists going to Stocks and Hawks d-man Jesse Ihas. 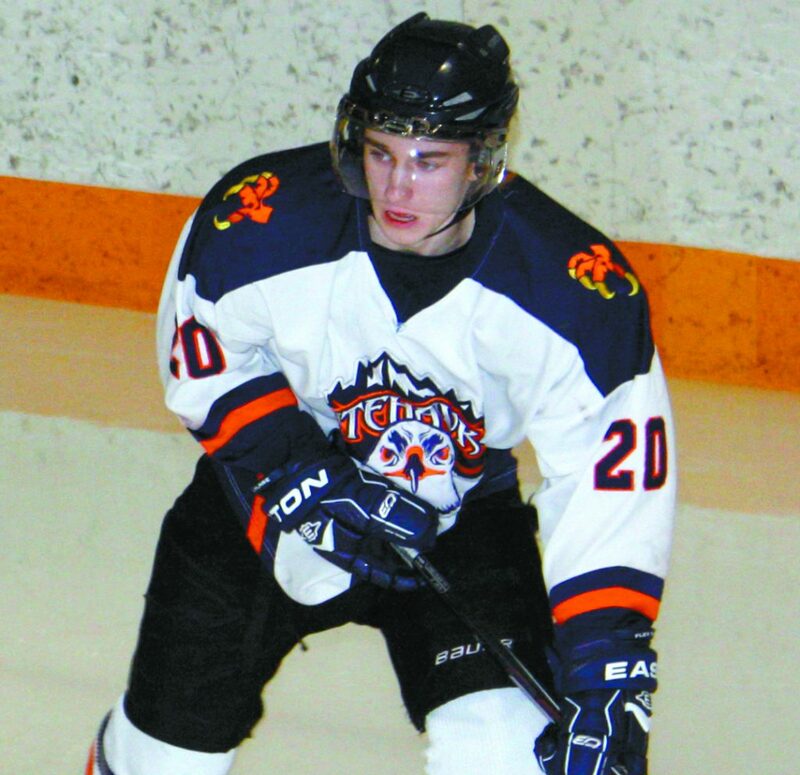 Virdee was particularly good in the final frame as North Okanagan held a 13-7 edge in shots and 26-24 in the game. B.V. went 1-for-1 on the power play and a perfect 2-for-2 on the penalty kill. In Beaver Valley’s opening match against Sicamous, the Nitehawks outshot the Eagles 30-12 in the game but were outscored 4-2 in a physical match up on Thursday. Morgan Peace gave B.V. a 1-0 first period lead, but second-period tallies by Colby Sherlock and Sean Moleschi made it 2-1 for Sicamous after two. Sherlock scored his second of the night six minutes into the third and David Cloutier gave the Eagles a 4-1 lead a minute later. Marty Ingram made it 4-2 midway through the final frame but that was as close as the Hawks would get. B.V. went 0-for-8 on the power play while Sicamous was 1-for-8. 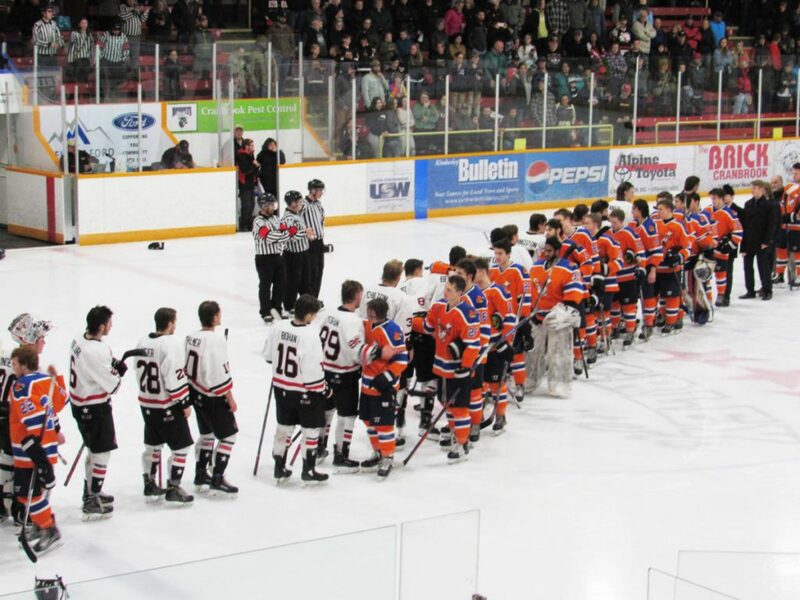 The Nitehawks are back in action on Wednesday when they host the Castlegar Rebels at the B.V. Arena at 7 p.m. It’s a special night for the Nitehawks family as the team will retire the #29 jersey of longtime Nitehawks captain Sam Swanson. The Fruitvale native will join Adam Deadmarsh, Barret Jackman and Rocky Dickson as the only Hawks to have their numbers raised to the rafters.